NTN-SNR offers you a wide range of universal or special self-aligning bearing units. 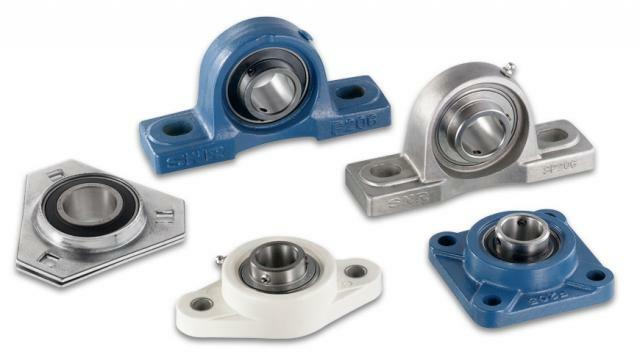 The NTN-SNR range of self-aligning bearing units offers a number of solutions for industrial applications that meets the criteria for cost, reliability and ease of installation. The range of NTN-SNR self-aligning bearing units is wide, with more than 40,000 possible combinations. It covers the majority of industry solutions, all at a very attractive economic cost. Installing a self-aligning bearing unit is simple and easy to do for anyone, without the need to have specialist technical skills. Indeed, they are simply: housing + bearing insert. Each self-aligning bearing unit is made from a combination of HOUSING / BEARING INSERT, to provide the ideal solution. 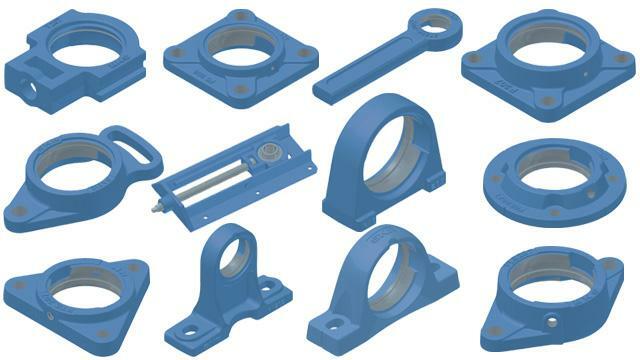 The NTN-SNR range of housings sets itself apart with its large choice of designs. There are a large number of possible options: pillow block housings, flanged units, take-up housings, cartridge housings and hanger housings. 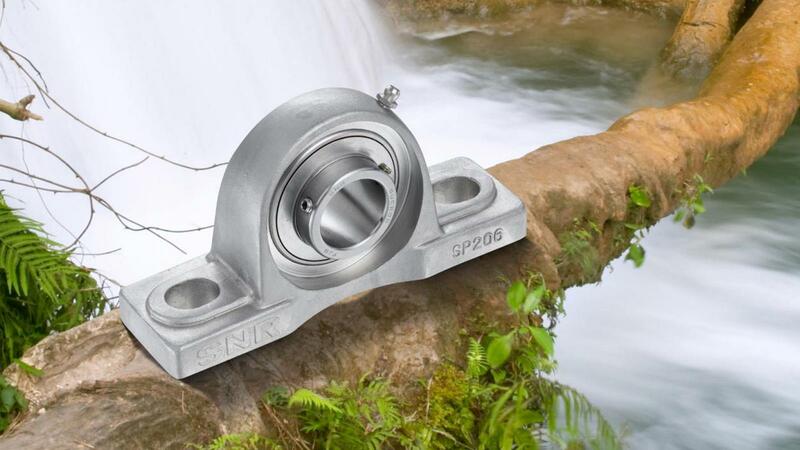 In addition, our housings are designed for the simple installation of NTN-SNR bearing inserts. Housings in the NTN-SNR range are available in a variety of materials: grey cast iron, pressed steel, stainless steel and thermoplastic. 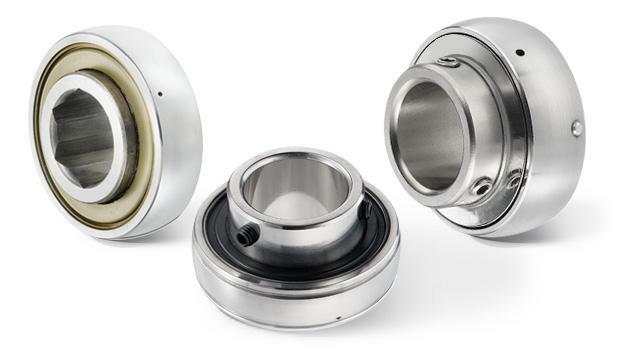 All single-piece housings are supplied with a re-greasing system to provide for lubrication of the bearing inserts. Bearing inserts have a spherical outer diameter. 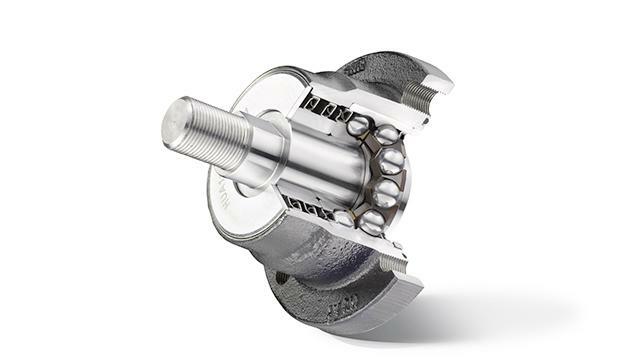 They are designed around the internal geometry of a single-row deep groove ball bearing, series 62 and 63. The housing has a matching spherical shaped seat in which the bearing insert sits, making it easy for them to be assembled together. 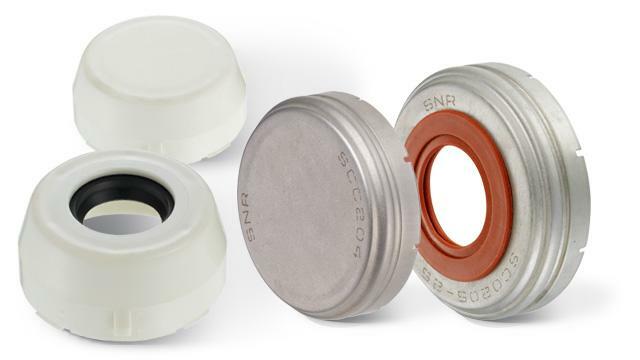 NTN-SNR offers sealed, lubricated for life, bearing inserts for easy maintenance. The self-aligning ability, in all directions, of the bearing inserts can compensate for any slight static mis-alignment of the shaft. The various fixing methods on the extended inner ring provide very simple mounting on to the shaft. floating bearing screw to compensate for shaft expansion due to temperature changes. designs: split or flanged plummer block housings, take-up housings, cartridge bearing units and hanger bearing units. in the agricultural sector, the AGR series. Bearing inserts for self-aligning housings specific for some agricultural machinery suitable for tillage machines (roller compactors, rotary harrows, disc harrows, cultivators...). for air conditioning and ventilation, the installation of bearings / bearings with ESR and CESR rubber ring ensures almost vibration-free and silent operation. 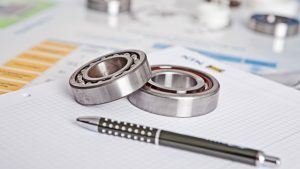 In addition, these bearings require almost no maintenance. Do you have any questions about our NTN-SNR self-aligning bearing units?